“The Very Large Array consists of 27 radio antennas in a Y-shaped configuration on the Plains of San Agustin in New Mexico. Each antenna is 25 meters (82 feet) in diameter. The data from the antennas is combined electronically to give the resolution of an antenna 36km (22 miles) across, with the sensitivity of a dish 130 meters (422 feet) in diameter.” – description from the VLA website. 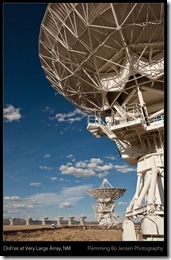 You may know the VLA from the movie or book Contact (do read the brilliant book!). Not surprisingly I connected with this place and the beautiful huge San Agustin Plain, home of the VLA. Ended up spending 4 days here and I still feel like going back. I will add that I it is also the most photographic fun I have had for a while! Not art and probably nothing that will sell, but great fun nonetheless. Even shot a couple of timelapse sequences and I hope to do a little VLA movie in a few months. In the meantime, here are a few of my images from VLA (the rest and best are saved for my upcoming new website). Every evening I watched beautiful sunsets on the massive San Agustin plain with the VLA antennas receiving signals from the universe. 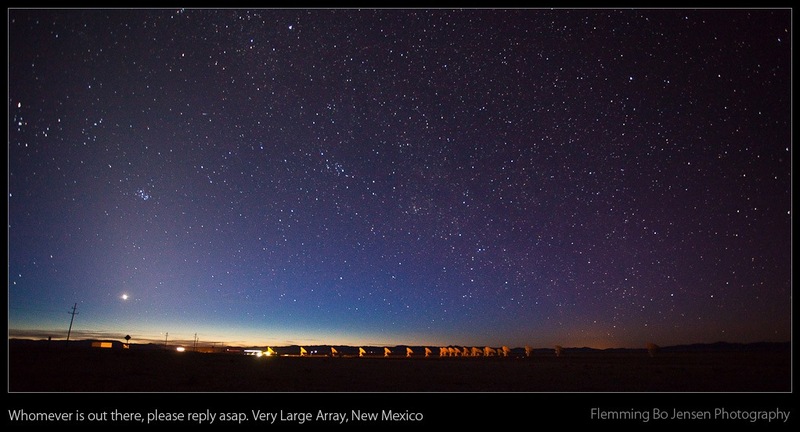 I captured a million stars in pitch black conditions under the magnificent New Mexico sky. The VLA antennas are lit up only by a bit of light coming from the control building but during a 30 second exposure it is enough to work as a light source lighting up the dish’es. I will definitely visit VLA again, perhaps during Summer and catch a few electrical storms preferably with access to the site and antennas after sunset, which I hear is possible given enough advance notice to the NRAO. 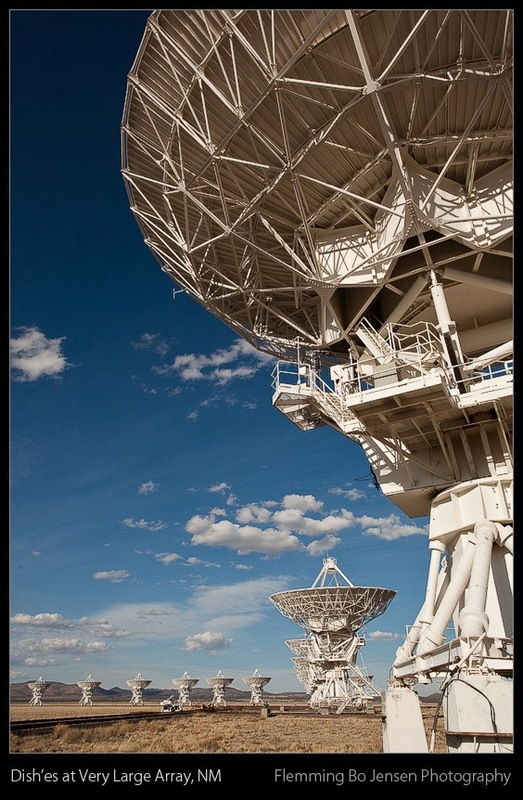 Perhaps not so well known fact: The VLA does not actually do any SETI work nor listen for aliens as in CONTACT. The radio signals are used to create images, it is not a sound source but a visual so the classic image of Jodie Foster with large headphones is the Hollywood version (still great though, the whole ‘discovering the signal’ scene in Contact is goose-bumpingly-good). Nice mate, they are the smae ones as seen in that timelapse toms site huh… very cool Albert ! ! Thank you Rod. 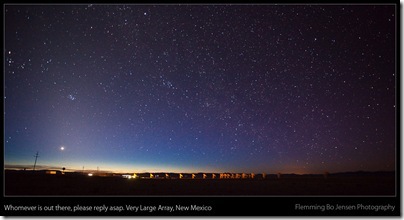 They are not the same though, Tom's timelapse is from an observatory in the California desert, I forget the name of it. 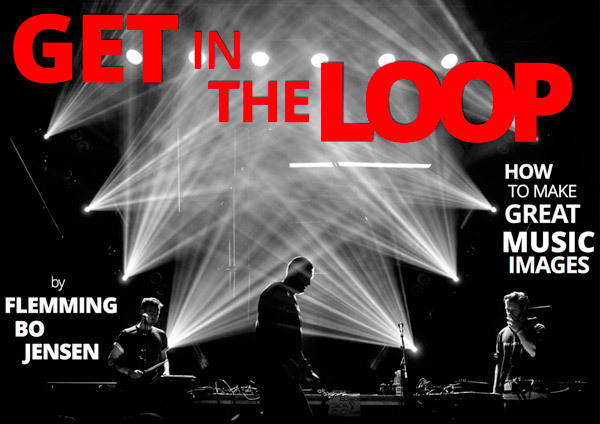 the first photo is a winner with me flemming, amazing! I love the photos – especially the first two! Happy Travels! Dude, that starry night photo is a cracker! I could totally see first contact taking place there. Yeah you should see the large size version Charlene, it is fantastic – or actually you should see it in real life, as you stand there you will practically think first contact could happen any second. It is such a cool place. Awesome Flemming, great landscapes, im enjoying the inclusion of foreign objects. love the 2nd image Flem, wow has that got impact! Man there are some stars in that first image Bo! Looks like you are definitely getting around and seeing some cool stuff, but I sense you are getting a little tired of being on the road eh? Hey Mark and thanks, I take it you mean the last image 🙂 I love the road but yes it is also wearing me out. Just need a bit of a break soon back home in Copenhagen this Summer. Been travelling for 7 out of the past 12 months so a pitstop is required. Cheers Kirk, most nights are extremely clear at VLA – why they chose that location 🙂 Very little interference.